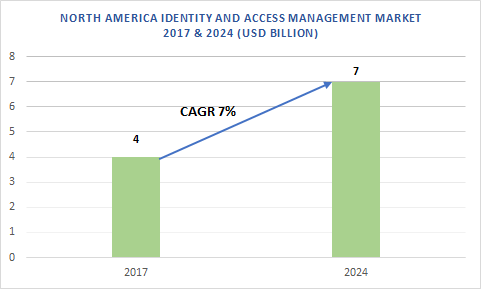 North America Identity and Access Management (IAM) Market value in 2017 was projected to be over 4 billion and is anticipated to reach over USD 7 billion, growing at a CAGR of more than 7% over the forecast timespan. The North America IAM market is growing due to technological advancements along with the increasing demand for IoT and BYOD. The rising adoption of cloud-based IAM solutions in this region also contributes majorly to the market growth. These cloud-based solutions provide analytics, extensive audit trails, and access policies, thereby automating the entire IAM process across enterprises resulting in enhanced productivity at reduced costs. 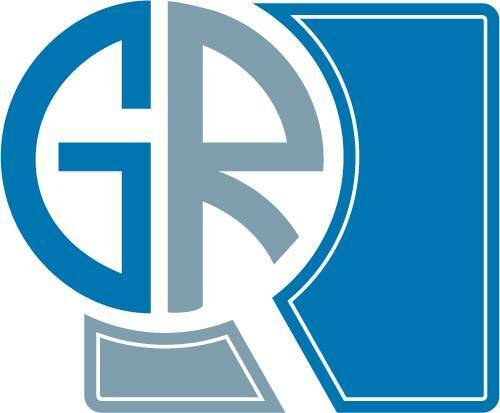 Furthermore, various companies in this region are also entering into strategic partnerships to meet the rising safety demands of enterprises. For instance, in February 2018, Okta and SailPoint Technologies, entered into a strategic partnership to provide end-to-end identity safety and security for enterprises. This combined identity management offering will enable them to deliver vast automation across numerous access management processes including access requests, provisioning, and self-service password reset support across all applications throughout the enterprise. Provisioning solutions dominate the North America IAM market with a market share of over 41% in 2017. The provisioning process creates authentication credentials granting employees proper authorization based upon their job profiles. With rapid advancements in IT functionality and service offerings, there is a need to provide employees with access to devices, information, and applications based on the role of each employee in the organization, which will accelerate the market demand. BFSI is the fastest growing sector in the North America IAM market. Organizations are routinely audited for fraudulent activities and hence they need to comply with rules & regulations to prove that they are managing the risks efficiently. The U.S. Security and Exchange Commission (SEC) has set stringent regulations, enabling BFSI institutions to fulfill security requirements. The U.S. leads the North America IAM market as various companies operating in this region are largely investing in cybersecurity solutions for ensuring the safety and security of their information. The U.S. government has partnered with various private sector companies to enhance its IAM initiatives, improve homeland security, get secured identity solutions to enable secure e-authentication through technical standards & identity proofing, and ensuring that appropriate privacy protections are implemented effectively. This also acts as a major parameter for market growth. The North America IAM market is extremely competitive due to the existence of numerous regional and multinational players including IBM Corporation, Microsoft Corporation, Oracle Corporation, Dell, HP, Hitachi, CA Technologies, F5 Networks, Sailpoint Technologies, OneLogin, Okta, and NetIQ.